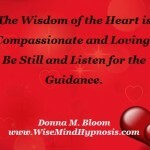 What words of wisdom does your heart share? New Year’s Resolutions, How to Make Them Stick! New Year's Resolutions, How to Make Them Stick!